The Lego Movie 2 Trailer Is Here and This World Is Still Real CuteEverything continues to be awesome. Tiffany Haddish Stays on Her Hustle And Signs Up for Lego Movie 2Everything will surely be more awesome. Margot Robbie and Elizabeth Banks to Adapt Paper Bag PrincessElizabeth Banks will direct the feminist children’s book. Imagine a World Where Lupita Nyong’o and Kristen Stewart Are Charlie’s AngelsElizabeth Banks has good taste. Movie Review: Surprise! The New Power Rangers Is Actually Pretty GreatAs cash grabs go, this one is delightfully unconcerned with coolness. 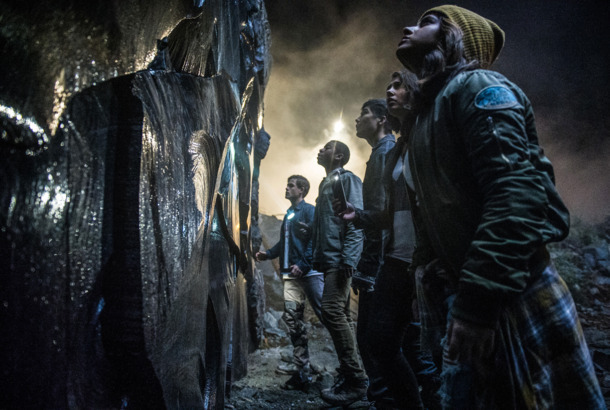 New Power Rangers Trailer: Mighty Morphin’ Social MisfitsA dark-ish, gritty-esque reboot. Step Up: All In Director Trish Sie to Helm Pitch Perfect 3She’s all in. Celebs Sing ‘Fight Song’ A Capella for ClintonSia makes an appearance, too. Elizabeth Banks Says Donald Trump Stole Her ActEffie Trinket and Donald Trump: Two cruel reality-show stars with insane wigs. Sony Confirms Elizabeth Banks’ Charlie’s Angels Among their slate of upcoming movies. Here’s Your First Look at the New Power RangersElizabeth Banks will play Rita Repulsa. Banks to Play Rita Repulsa in Power Rangers FilmIs there anything she can’t do? Liz Lemon’s Hubby to Romance Jack Donaghy’s Ex in Walk of ShameJames Marsden and Elizabeth Banks join Walk of Shame. Movie Review: Elizabeth Banks Is the Only Real Person in People Like UsThe guys behind Star Trek and Transformers try their hand at a serious human drama set in the real world. Elizabeth Banks Says Frank or Francis ‘Fell Apart’Sad. Last Night on Late Night: Mark Wahlberg Is Going Back to High SchoolPlus: What Elizabeth Banks looks for in a stripper, and more, on our daily late-night roundup. Meet the Lost Hunger Games TributesWow, Elizabeth Banks double-fists! Elizabeth Banks Set for Alan Ball’s New MovieShe’ll play an office drone who snaps. Avery Jessup-Donaghy Will Be Back on 30 Rock After AllIn May! People Like Us Trailer: Chris Pine Has a Secret Sister Named Elizabeth BanksLuke-Leia style. Last Night on Late Night: Kristen Chenoweth Was a RiotPlus: Elizabeth Banks spied on the Hunger Games fan girls at the movie theater, and more, on our daily late-night roundup. Last Night on Late Night: Jennifer Lawrence Threw a Bucket of Fried Chicken and Katniss’s Bow in the Fallon Basketball GamesPlus: Josh Hutcherson poked fun at David Letterman, and more, on our daily late-night roundup. The What to Expect When You’re Expecting Posters Are Very StrangeStop staring at me, Cameron Diaz! Steven Soderbergh Had Gina Carano Attacked In Real LifePlus: Kathy Griffin stripped without undies, and more, on our daily late-night roundup. See an Ad for Hunger Games-Themed Nail PolishElizabeth Banks is already doing meta-promos for The Hunger Games! Movie Review: A Clumsy But Still Surprising The Next Three DaysScene by scene, ‘The Next Three Days’ feels off. Elizabeth Banks Nabs Lead in Welcome to PeopleHilary Swank wanted it and Amy Adams regretfully turned it down. The Next Three Days Trailer: No Wife of Russell Crowe’s Has to Stay in JailHe will break her out, always.